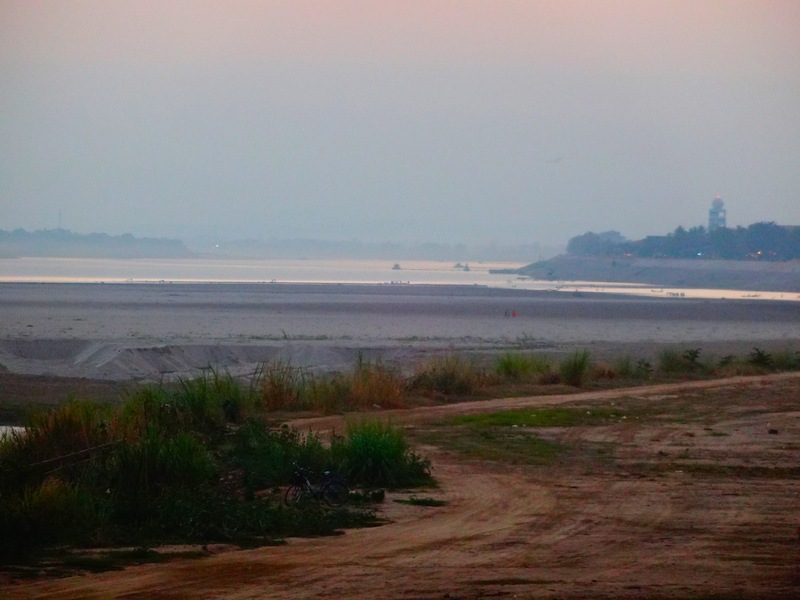 On the banks of the Mekong River in the dry season, getting to the actual river itself is a ten minute trek. 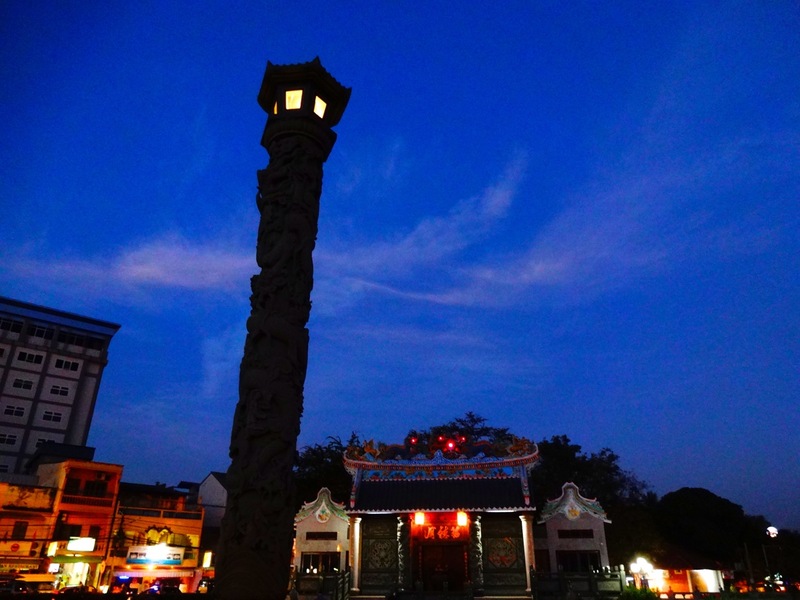 Arriving just after Tet-the lunar new year in Southeast Asia, Vientiane seems quite sleepy after the festivals, fireworks, and hanging lanterns of Hanoi and Hoi An in neighboring Vietnam. 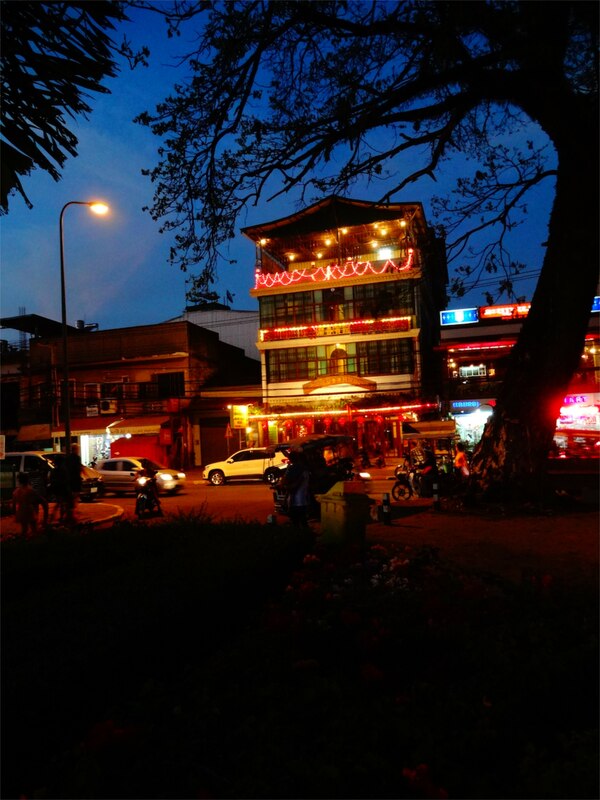 Laos, as many seasoned travelers in Asia will mention, is more what Asian countries used to be in contrast to what they have quickly become: Crowded, dirty, car-clogged, and in real danger of losing their individual identities to the generic glass and steel towers of the modern era. Rows of looming concrete monoliths with tinted windows have obliterated the modest houses, shops, and apartment buildings with their lively alleys and courtyards, replaced by karaoke bars, buffets, and endless high walls and guarded gatehouses at every turn. No so with Vientiane. In fact, it was the first city of any size we have visited without the obligatory KFC/Pizza Hut/McDonald’s trifecta of American food imports. No tall buildings, no luxury high-rise hotels and no golden arches. Somehow, perhaps a general poverty and a dearth of infrastructure has left Laos a quick parting peek though a closing window. Separated only by the thin ribbon of a greatly-drained river, the Mekong is the only physical boundary between Laos and its more traveled southern neighbor Thailand. During the day, the area that makes up the Mekong riverside is all but deserted, due mainly as we discovered, by the relentless sun and acres of tree-less concrete that make up the area from the French-influenced but closed off Presidential Palace and the Lao Textiles factory several kilometers west. Incidentally, local hand-made items including clothing, woven baskets, rugs, and silk textiles in particular are the best items to take home with you. As the sun sets, however, the spiritual atmosphere changes along with the physical as the area turns into a giant friendly village. Hundreds of locals join the relatively few western tourists as the sun sinks into the river, the air finally cools, and the nightly light show begins. 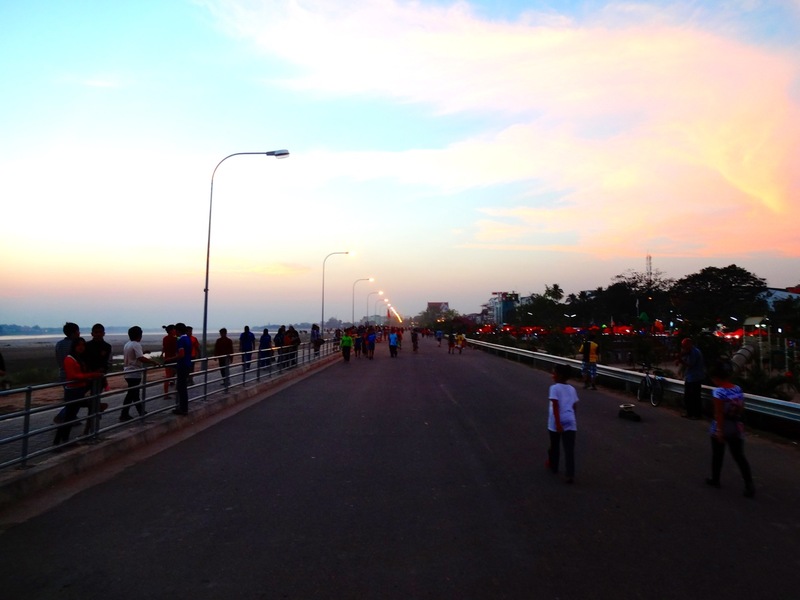 People ramble along the riverfront, water or not, and watch the sun sink into the river toward Thailand and Burma. By dark, dozens of home-made stalls and colorful tents light up along the the walkways and park area as mobs of children and teens make their way along the waterfront and in the marketplace. Vendors sell trinkets, watches, crafts, Lao silks and textiles, clothes, and food of every sort. Noodles, curries, steamed sticky rice, stews, and my favorite: mock pa-steamed fish wrapped in banana leaves round out the street food menu. The local beer, simply titled Beerlao and brewed with local jasmine rice and hops and yeast from Germany is the pride of the city and sold in every other tent. Thank you Turtle-What a kind compliment!